This charming 17th C farmhouse has original oak beams and many original features. 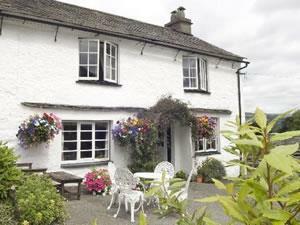 High Wray Farm B&B sometimes limits bookings to 3 or more days. From the B5286 Ambleside to Hawkshead road, take the minor road to the left signed Wray and Wray Castle. Follow this road for 1.5 miles, driving past cottages at High Wray; the farm willl be seen on the right.